Are you having trouble getting your little ‘un to wear her sweater? Have no fear! This stunning cardigan will be a hit with her for sure. 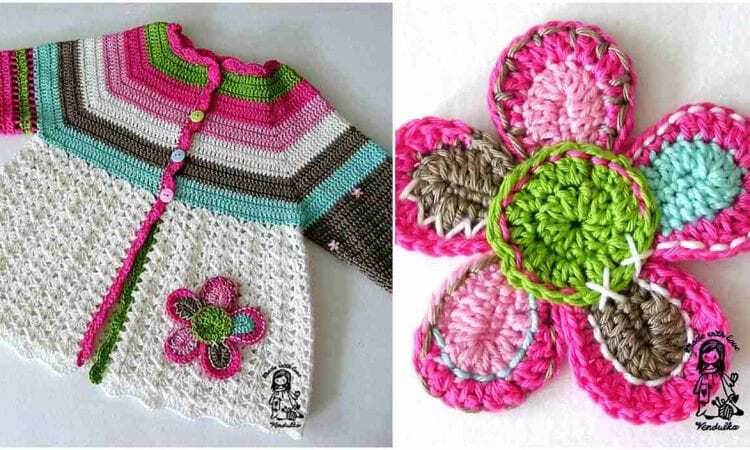 This easy and attractive pattern works up quickly and will produce a beautiful garment any little girl will be proud to wear. Of course, the colours you choose, depend entirely on your and her tastes. It is described in detail in two sizes – for 3 and 5 years old child. A link to the free pattern is below.